A compact mini-ITX system no longer has to be Intel by default as AMD’s Ryzen CPUs have facilitated a plethora of appealing alternative options for the small form factor segment. In particular AMD’s B450 chipset offers high-performance mini-ITX computing at a reasonable price point and sacrifices very little compared to the more costly AMD X470 chipset. 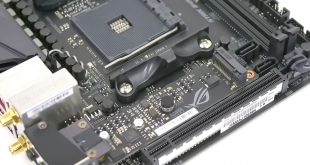 As such motherboard vendors can build high-spec mini-ITX motherboards at competitive price points, the ASUS attempt of which is the ROG Strix B450-I Gaming. These days mini-ITX comes with minimal sacrifices and indeed the ASUS ROG Strix B450-I Gaming is in keeping with that idea. 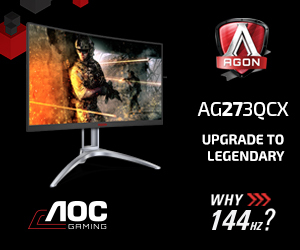 It features, take a breath, USB 3.1 10Gbps, dual M.2 ports, high quality Realtek ALC1220 based audio, a 6-phase CPU VRM, onboard WiFi and Gigabit LAN, onboard RGB LEDs and optional RGB headers. 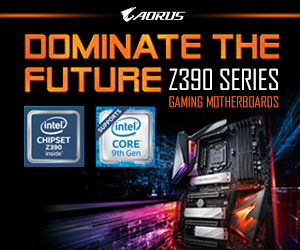 In this instance ASUS has gone all out for AMD’s 400-series chipsets with this and the very similar X470-I Gaming being the only mini-ITX motherboards on offer – there is no low-cost ASUS option and buyers looking for something cheaper may have to scour through previous generation 300-series stock. 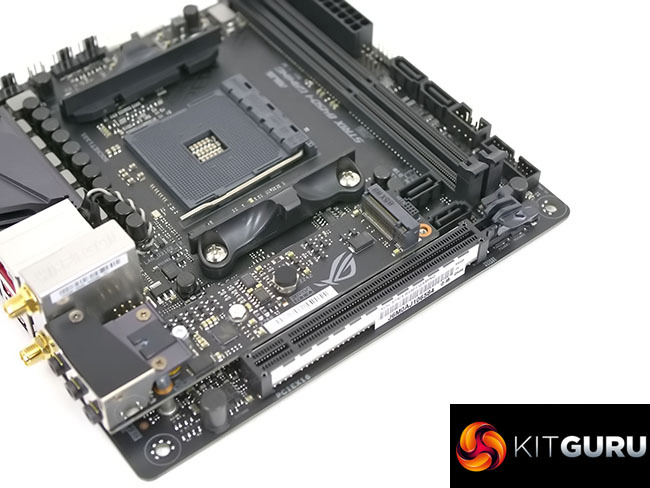 It is perhaps a sensible approach to set the entry standard for Ryzen mini-ITX motherboards quite high to ensure that the high core count CPUs are backed with sufficiently capable VRMs. 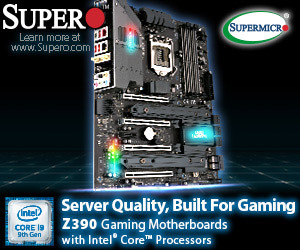 However, buyers looking for something on the cheaper end of the mini-ITX spectrum could well be drawn towards Intel motherboards based on H370, B360 and H310. Clearly positioned towards gamers and power users, let’s see how the ASUS ROG Strix B450-I Gaming fares in KitGuru’s battery of analysis and tests.